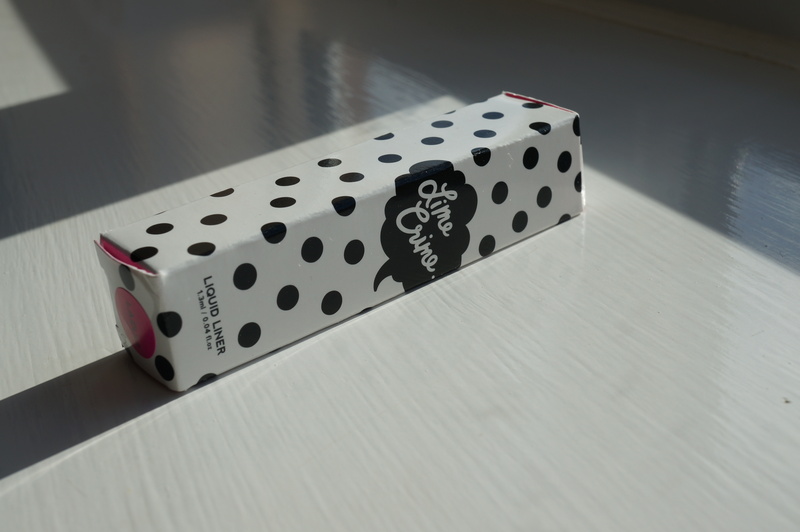 Today I have the next instalment from my Love Makeup mini haul the other day. I’ve been eyeing up the Lime Crime Liquid Liners for a while now, they come in gorgeous bright colours and I found it really hard to decide which colour to go for! 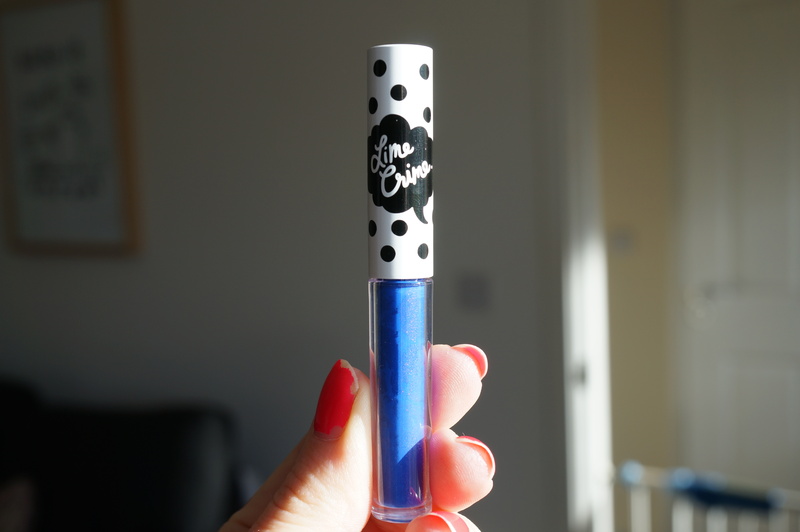 As you know I’m a fan of blue eyeliner, so I went for the colour ‘Lazuli’. It’s a gorgeous bright blue! 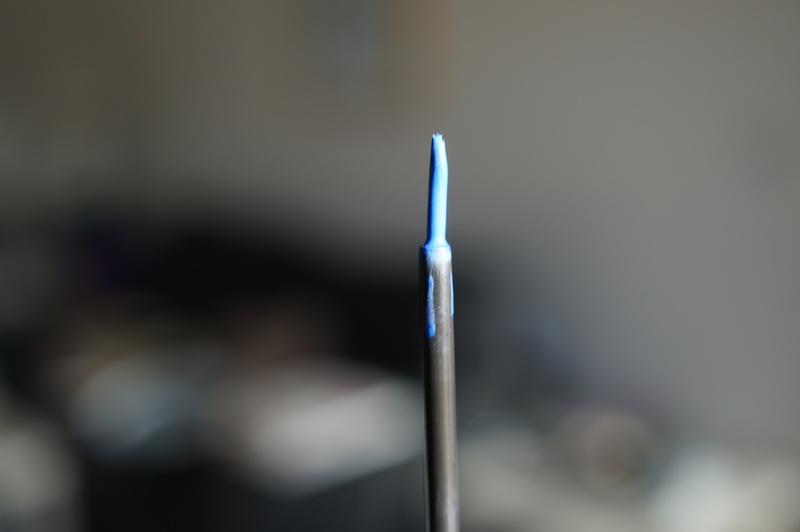 The brush is a standard liquid eyeliner brush, it’s long and thin and I’m really happy with the flexibility and width. 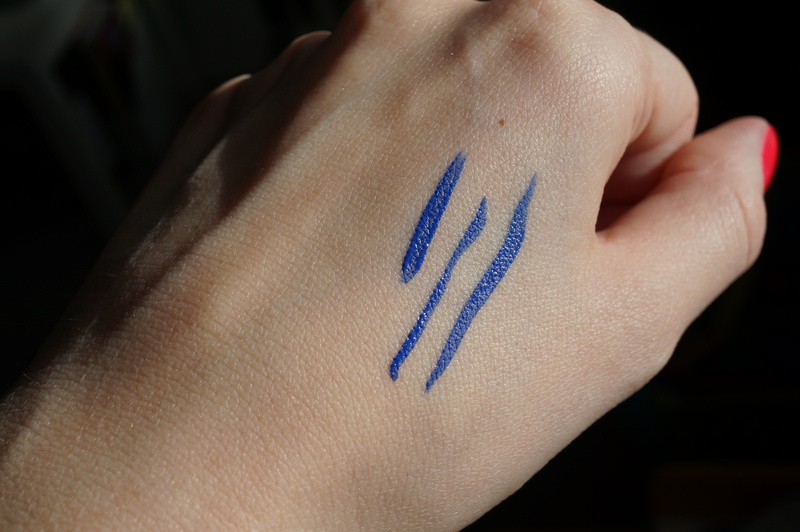 When I swatched it on my hand I was really impressed with the consistency and pigmentation. There’s nothing worse that a liquid eyeliner being watery and see-through! So here is the look I created with my amazing new eyeliner! I love it!! For this look I’ve used the Urban Decay Naked Basics Eyeshadows, Urban Decay Pencil Eyeliner in Smoke (dark grey) with the Lime Crime Lazuli Eyeliner on top for a pop of bright blue! 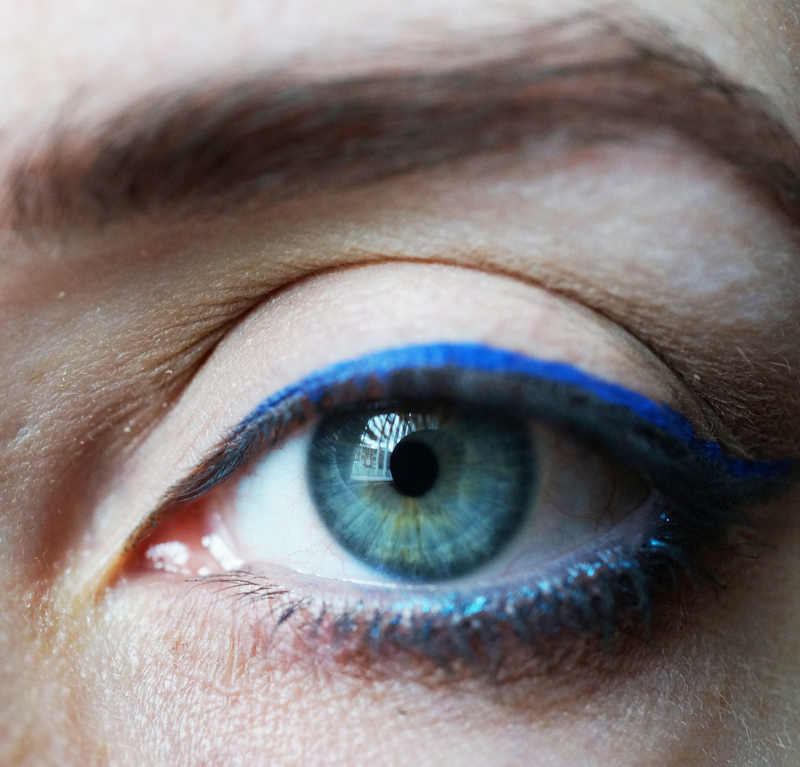 I finished off the look with one of my Eye of Horus Pencil Eyeliners (also called Lazuli) in the waterline. Oooooh I love this! I’ve just ordered the latest in beauty glamour edit box, which has a blue eyeliner in, excited to try it now I’ve seen your post. Your eyes look amazing.